The Armenian-American entrepreneur joins forces with Flaviar to release a new brandy called Shakmat XO directly to consumers. 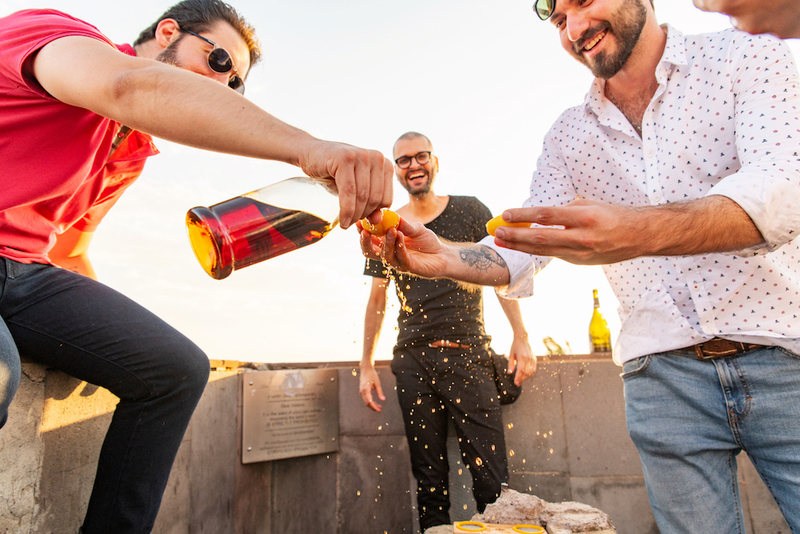 Alexis Ohanian might represent the cutting edge of social networking, but lately, he’s also got his eye on some very old-school brandy production. 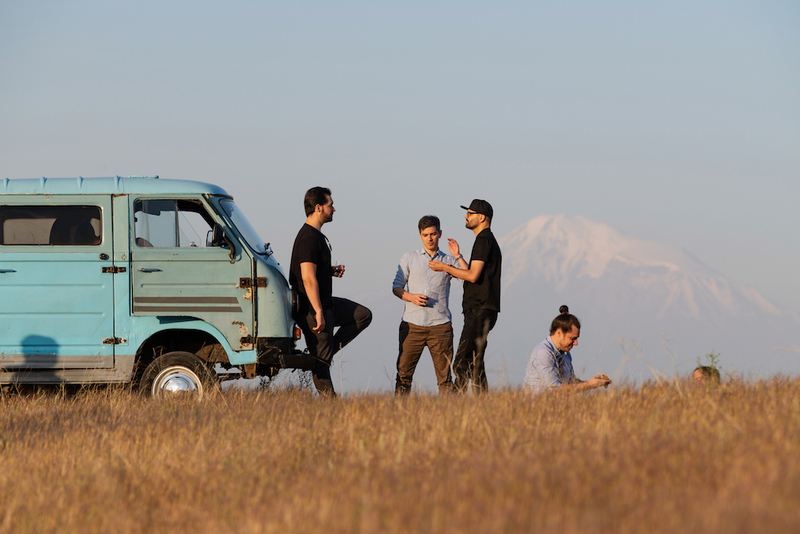 This fall, the Reddit and Initialized Capital co-founder taps into his Armenian heritage with Shakmat XO, a new, premium Armenian brandy launched in collaboration with the direct-to-consumer spirits club Flaviar. (Ohanian mentored co-founders Jugoslav Petkovic and Grisa Soba before taking a personal take in the company). Though perhaps not as recognized as its counterparts in France (cognac), South America (pisco), or even America (applejack), Armenian brandy has been enjoyed and renowned internationally for well over a century. The Caucasus is often described as the cradle of winemaking—historians believe the grape-growing region experienced a golden age of viniculture starting in 500 BC. It’s unclear when precisely that wine was first distilled into brandy, though evidence suggests the possibility of distillation starting as early as the 12th century. Whatever the case, the first true Armenian brandies, as we know them today, first became popular in the late 1800s. Benefitting from pre-WWI Franco-Russian relations, Armenian producers applied French methods to some of the over 200 native grape varieties—namely Areni, Kangun, and Voskehat—and referred to their spirit as “cognac” (sometimes spelled konyak or kanyak). These days, Armenian brandy is still a booming business in its home country, with most of the time-honored methods left intact from the early days. And for the millions of far-flung diaspora Armenians, konyak is a familiar taste of the country they left behind—a liquid manifestation of the famous hospitality offered in every Armenian home. It’s this spirit that Ohanian aims to capture in every bottle of Shakmat, which is made by double-distilling wine made exclusively from indigenous grape varieties in a continuous column still and French alembic stills. The distillate is then matured in casks made from Caucasian oak, yielding the notes of dried fruit, nuts and spices, molasses, and even tobacco that are typical for the category. The debut of Shakmat serendipitously coincides with an auspicious change in Armenia: earlier this year, citizens took to the streets to participate in the 2018 Velvet Revolution, a series of entirely nonviolent protests that ushered in a new regime. Inspired by the positive energy in the air, Ohanian says he also wanted the brand to give back: a portion of Shakmat’s proceeds go towards the nonprofit Armenia Tree Project for its reforestation initiative. 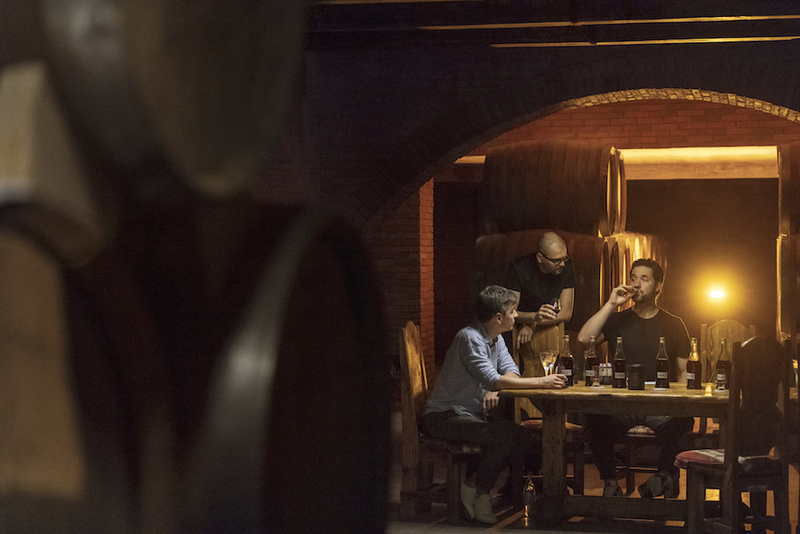 We caught up with Ohanian to talk about his return to Armenia, direct-to-consumer business models, and his favorite way to drink Shakmat. F&W: What was it like returning to Armenia on your recent R&D trip? Ohanian: This was my fifth trip. I’ve been going every couple of years since 2010. It impresses me every time seeing how much has changed in such a short period. Most remarkably this year was the peaceful revolution. This was the first trip back where I felt a massive change in the energy around Yerevan, and all over the country. A huge shift had taken place and there was a sense of optimism, especially among the younger generation. Why was now the right time to introduce Shakmat to the public? I wish I could attribute it to the revolution, but Shakmat was underway long before all of this started. Now more than ever, the country is ready to share its gifts to the world. There’s a strong widespread diaspora throughout the US, Europe, and all over the world that has enjoyed Armenian brandy for a very long time. It was something we all knew about that so few of my American friends were aware of. I just saw the Met Gallery’s “Armenia!” exhibit, which reminded me of the long history the nation has had. Brandy is part of that. What do you think distinguishes Armenian brandy from others? Armenia doesn’t have a ton of natural resources, but we do have a couple hundred natural grape varieties. The practices have not really changed, a lot of the winemaking hasn’t changed in a thousand years. The brandy uses grapes unique to Armenia, the oak we’re using is indigenous to the country. To make Shakmat requires both of those. 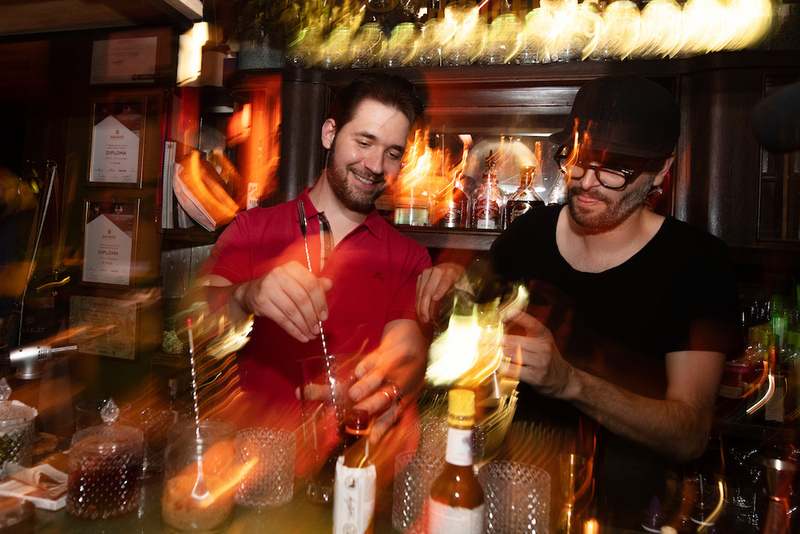 How did you leverage your experience in tech and business to enter the spirits world? I got to know Jugo and Grisa, the founders of Flaviar, as I was mentoring them through Y Combinator. Flaviar is a quintessential direct-to-consumer model. I look at brands all day, and this is the future of how brands are getting out. Liquor is an interesting one because it’s such a regulated industry. A lot of the playbook for the drinking consumer has not taken hold yet. We’re going direct to the consumer first, so we’re able to take a lot of what would historically be spent on marketing and use it to improve the juice and make sure it’s really great. We want something people genuinely love and want to talk about—and we’re seeing a lot of that already on social media. This is the way so many brands are getting built now, and maybe in the future, how liquor brands are getting built too. All that means a better experience for the customer, who’s motivated by word of mouth rather than a TV spot. What’s your favorite way to drink Armenian brandy? If they’re available, the best way is with Armenian apricots. You just pop out the pith and use it as a shot glass. Getting Armenian apricots is a little hard here in Florida, so regular ones work too. Most nights, I’m just sipping on it neat with a little dark chocolate. But more importantly—do it with people you love. I know its kitschy, but Armenians are very proud of our hospitality as a people who have been displaced all over the world. Not by choice, of course, but by genocide. Whether you are Armenian or not, there’s always a seat at the table for everyone.